Since the advent of modern recordkeeping in 1880, the global average temperature has risen 1.6°F. 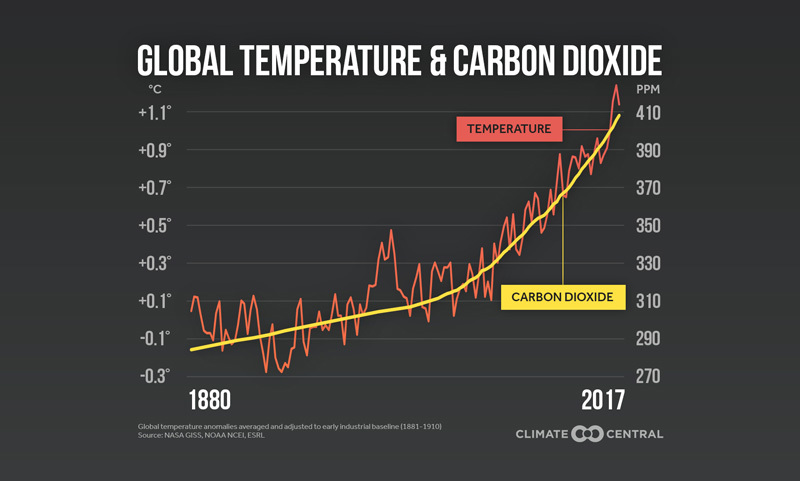 Since the advent of modern recordkeeping in 1880, the global average temperature has risen 1.6°F. The trend is one of the hallmarks of global warming and tightly tied with the rise in human CO2 emissions. 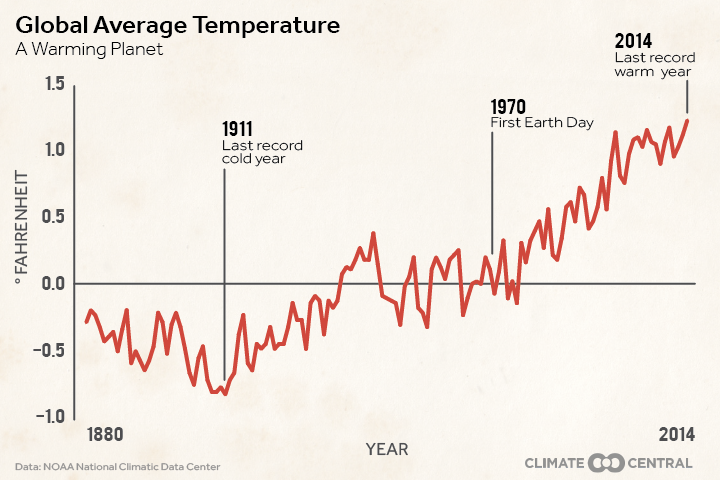 Warming has accelerated since the first Earth Day in 1970. 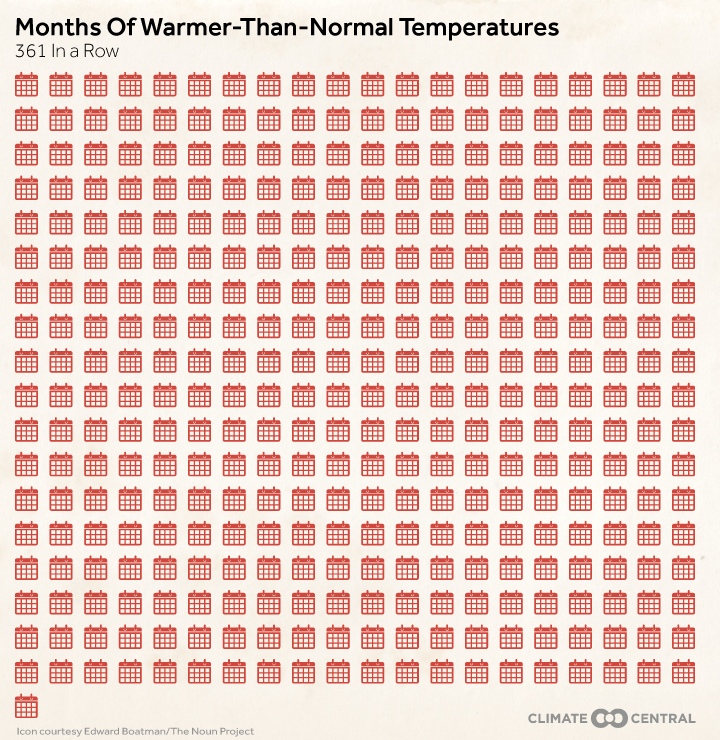 The global average temperature has risen by about 0.3°F per decade since then. In comparison, the rise up until that point was about 0.1°F per decade. The speed up in warming since 1970 has been tied to a number of factors, particularly a reduction in human aerosol emissions throughout the 1970s, which cool the planet. Scientists have warned that warming should be limited to 3.6°F above pre-industrial levels — more commonly represented by its even Celsius counterpart of 2°C — to avoid severe consequences of climate change. 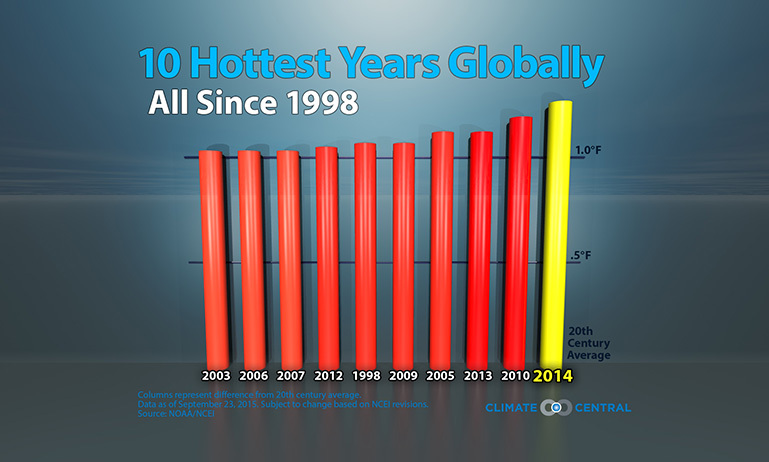 It’s official — 2014 is the hottest year on record. The global ocean temperature was also the highest on record while many land areas were also warmer than normal or set records such as many countries in Europe and the western U.S. The only major blue spot for 2014 was the eastern half of the U.S.